Homeopathy is a form of natural medicine that is over 150 years old. it's the use of diluted substances made from animals, plants and minerals. 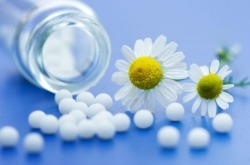 Homeopathy activates the immune system to lead the patient gently and safely with little or no side effects. Homotoxicology is a modern form of combination Homeopathic medicine that can e used in drops, tablets and injections.